Spend your morning or afternoon out in the sun exploring a hidden island in the heart of the city and the lush hills that surround the Acropolis: Athens’ oasis is awaiting. Get ready to walk off-the-beaten-path in Athens and explore the natural beauty and history of the most renowned hills of the city. Follow scenic pathways until you eventually reach Anafiotika, a hidden island on the slopes of Acropolis. You will climb the rocky stairs of Areopagus and Pnyx, to immerse yourself into a journey through time back to the ancient city. Take in the views from Philopappou Hill, have your camera ready to capture the best pictures of your trip to Greece! An off-the-beaten-path walk led by our fun, local guide & archaeologist. Climb the lush and serene hills of Athens: Areopagus, the Pnyx and Philopappou Hill. An ideal experience for nature lovers & discerning travelers, who want to experience the city far from the crowds. 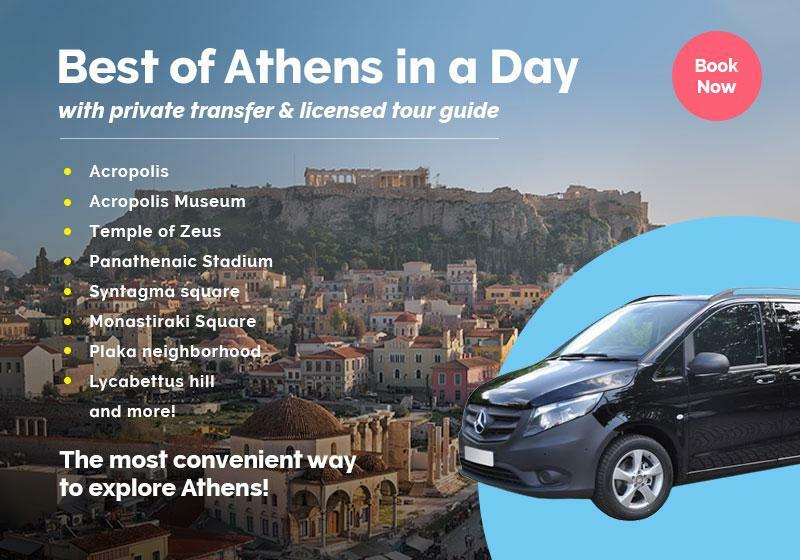 Perfect vantage viewpoints – capture the best Athens views! We booked this tour and turned out to be our favorite tour/activity we did while there. Our guide Eleni was very personable and informative. She explained the history and mythology of the area, and went out of her way to show us some extra interesting things. The tour itself takes you to some less busy areas of the city. Because you visit some of the hills of Athens, you get great views. We definitely recommend Greeking.me and this tour! We had a wonderful time in Athens thanks to greeking.me. They were able to personalize the tours to fit our desires, and came up with reasonable suggestions so that we could stay within our budget as a young couple. We did a tour through the hills and streets of Athens and our guide was extremely knowledgeable (archaeologist), but also so friendly and casual. It felt like we were visiting Athens with friends. Thank you so much! Theo was our guide for the Hills of Athens tour; even though the morning was hot, it was relaxed and we were able to enjoy the walk!! We even stopped for cooling down at a beautiful street cafe. Definitely worthy! The tour of " Greeking me" was very special for me. As one who has visited those places - plaka, acropolis and the places near befor it was super for me to hear about the history and to see many new things that i have never noticed. Very good for a tourist or for greeks also! and with the excellent knowledge of my super guide who is an archaeologist, it was perfect. He knew so many things about the places and greek history! highly recommended. Follow our expert local guide an a fascinating walk to the most famous hills of Athens! Your walking route takes you through picturesque Anafiotika area and its island-like alleys colored by lush bougainvillea flowers; you will feel like you are wandering around the narrow paths of a Greek island surrounded by white-washed houses with blue windows. Your first hill-stop will be Areopagus, where your guide will unfold the tales behind the history of the place which used to be the supreme court of ancient Athens. From there, the views to the Acropolis are just breathtaking; get your camera clicking! Your tour will continue to captivate you as you make your way towards to the Pnyx, where the Athenian assembly was held during antiquity and where democracy got its actual meaning. On the hill, spot the “bema”, the stepping stone from where renowned orators of antiquity such as Pericles and Demosthenes used to influence the Athenian politics. Aiming for the top of Philopappou Hill, you will meet a cozy old church with a strange name and the place where Socrates - the world-famous philosopher - was said to be imprisoned. Reaching Philopappou hilltop, you will get to see the Monument of Philopappos and soak up the commanding views to the Acropolis, Piraeus and the Saronic Gulf. Finish up your tour by walking along the cobblestoned laneway of Dionysiou Areopagitou street and take a look at the astonishing Odeon of Herodes Atticus. This walk encompasses natural beauty, ancient history and vantage points, all of which will give you the chance to encapture Athens as very few travelers ever do! A guided tour in the hills of Athens. This guided tour doesn't include a visit to the Acropolis. The spoken language is English. More languages are available in private tours. Prepare yourself for an exciting experience & bring along your camera so you can capture the best views! Not at all! We will walk at a moderate pace so it will be a pleasant walk for everyone. Very much! Our expert guide will provide fascinating info & easy to understand stories about the Acropolis, that will make this tour an unforgettable experience for your little ones! The "Mythical Athenian Hills & hidden Anafiotika tour" is available as a private tour, in order to further customize your experience to fulfill your specific needs & expectations. Simply tell us your preferences in the booking form below.